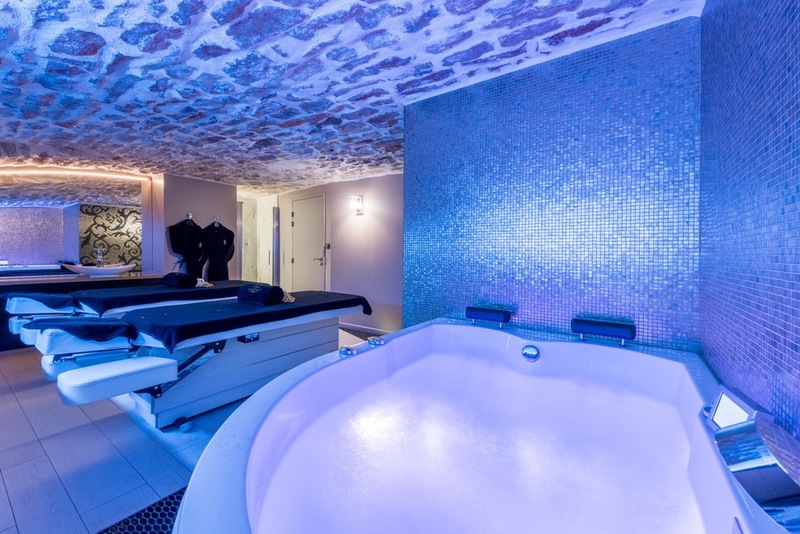 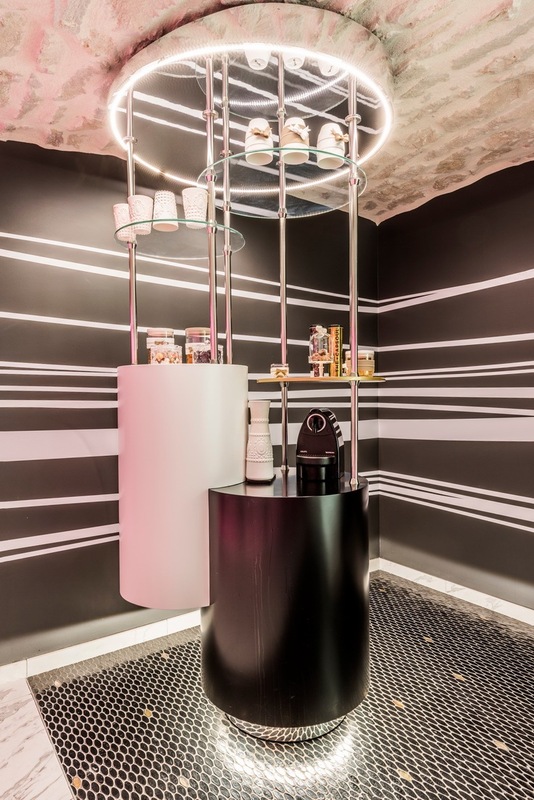 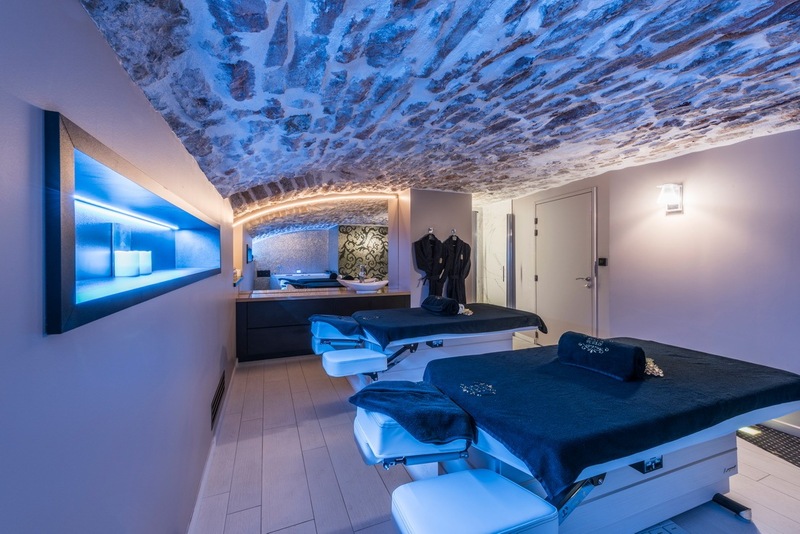 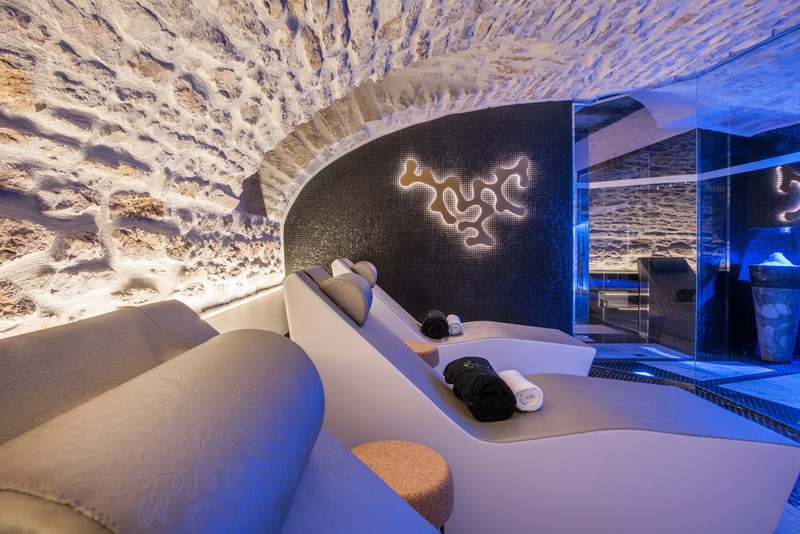 The design studio of Alberto Apostoli has created a spa inside an ancient crypt in the evocative historical center of the city of Macon, France. 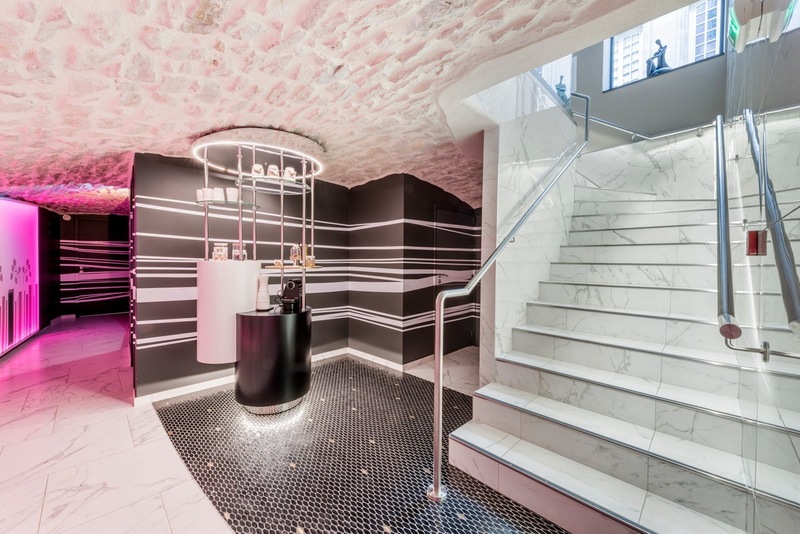 The new Atrium – SPA & Beauté complex, with an area of 270 m2 on two levels, welcomes guests on the ground floor in a refined salon in the Neo-Baroque style. 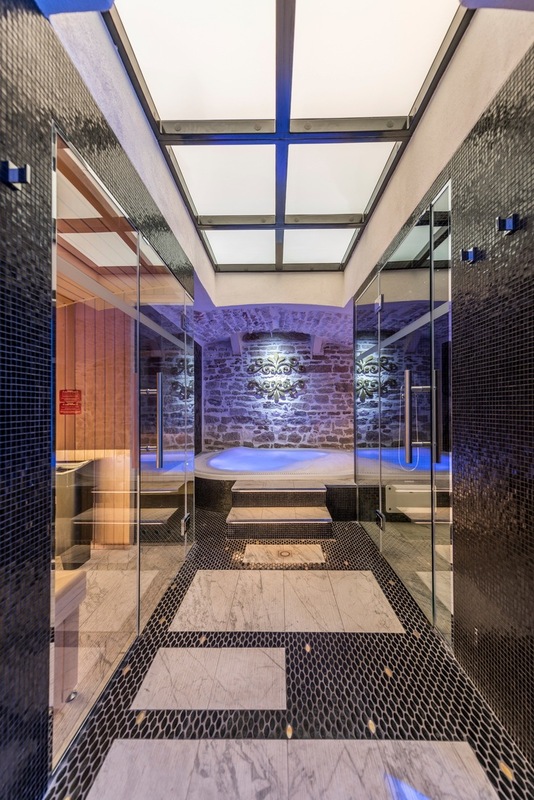 The staircase in stoneware with a white marble effect leads to the basement, the heart of the wellness center: a space with an unexpected medieval atmosphere, with a vaulted ceiling, completely made in stone. 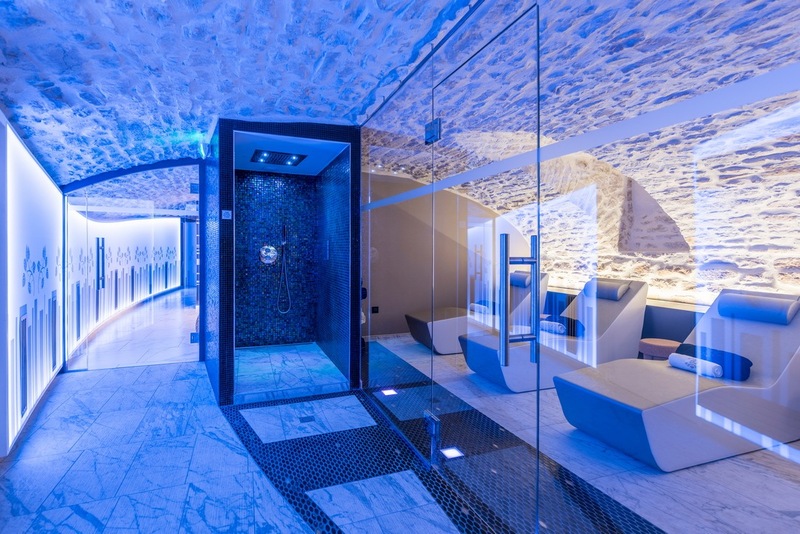 The design idea proposed by Alberto Apostoli manages to combine technical and aesthetic factors, physical plant elements and dramatic decor. 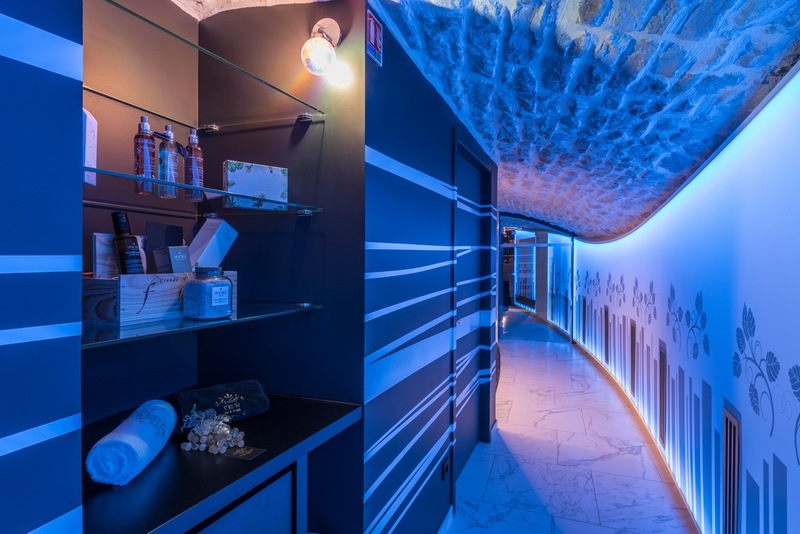 A long curved corridor leads to the wet zone, on one side, and the treatment cabins on the other. 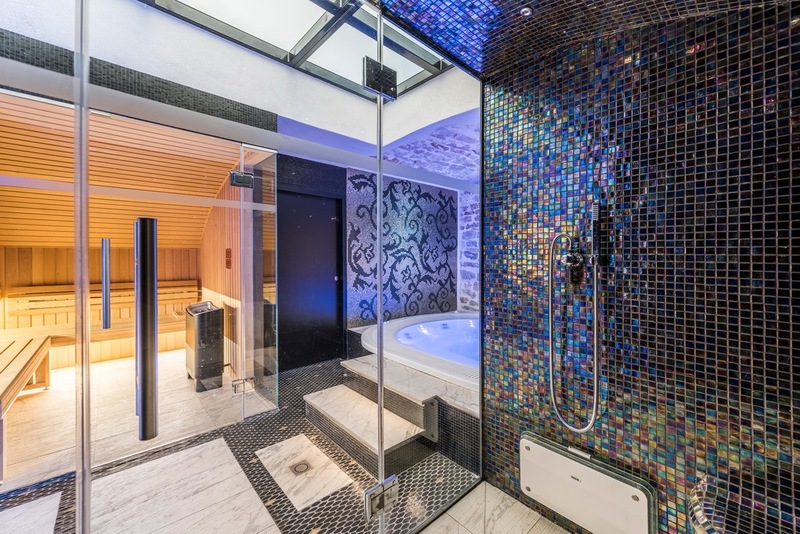 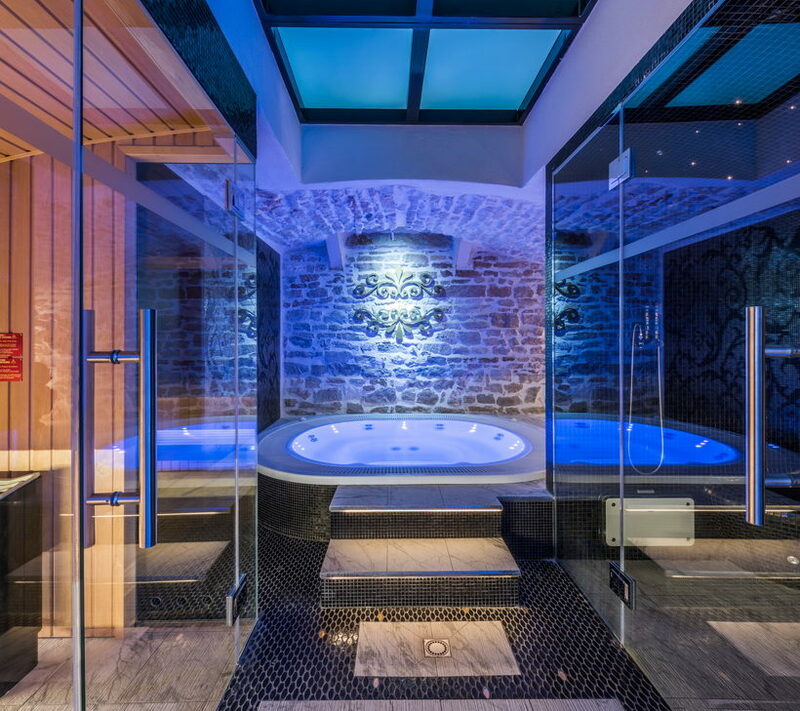 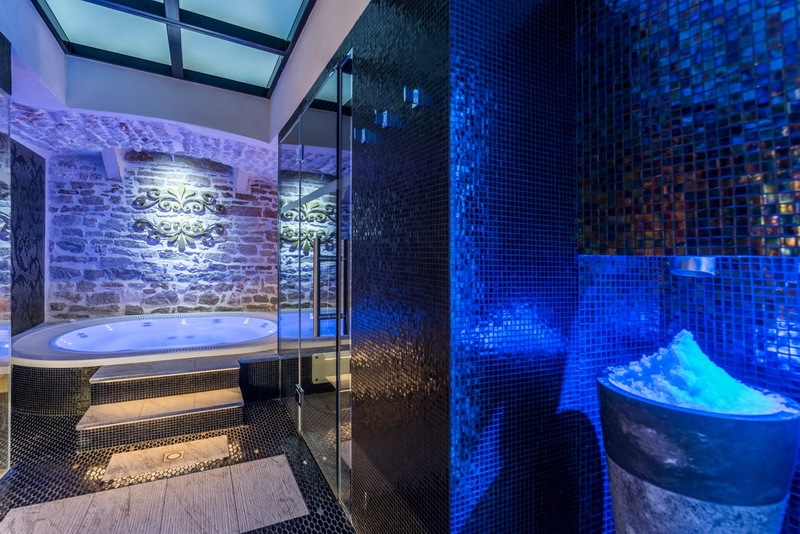 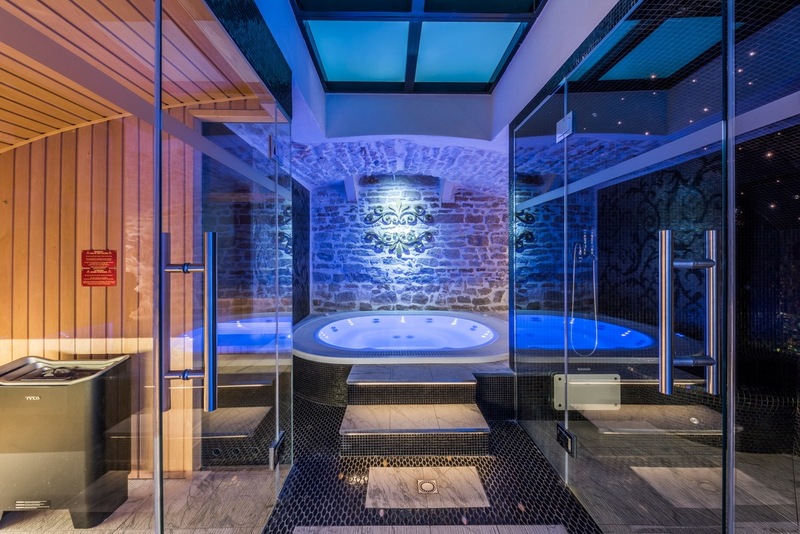 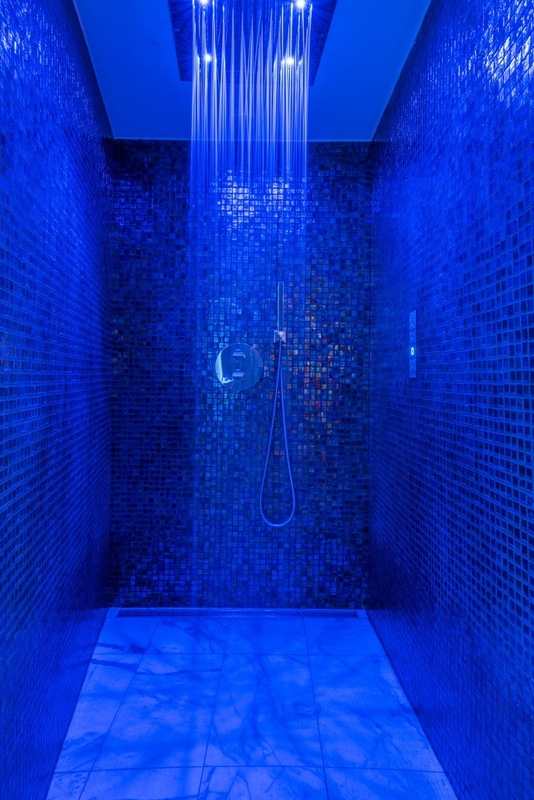 The wet zone has a Finnish sauna and a steam bath, with hydromassage and relaxation areas. 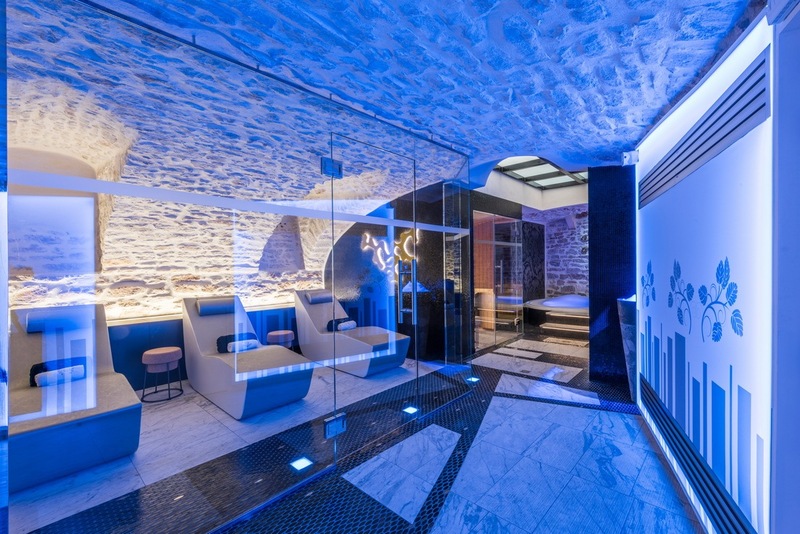 The lighting has been carefully studied to create an appealing atmosphere, resolving the technical issues of a particularly small space. 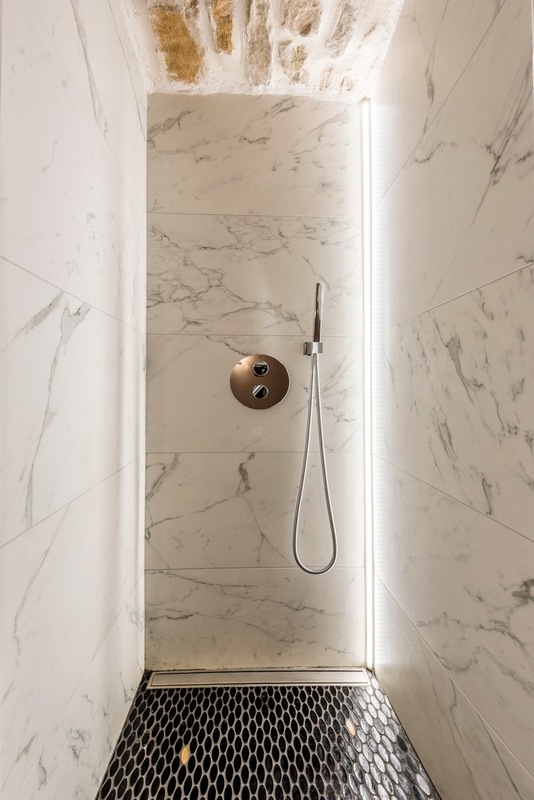 The visual weight of the stone is balanced by the use of black and white, together with gold highlights. 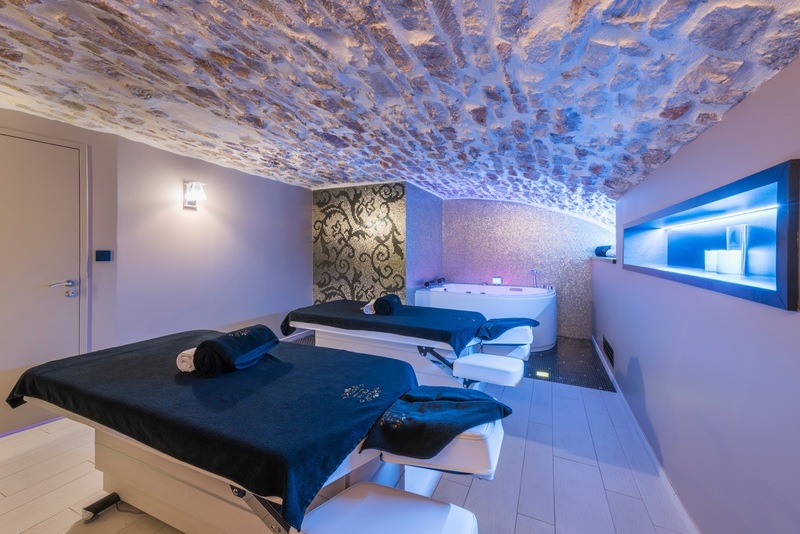 Apostoli has selected many Italian products: ceramics, mosaics, paints, and even the cots in the treatment rooms.